SurveilZone.com can accept PayPal and T/T (Bank Transfer). How can I pay by credit card without a PayPal account? You can simply pay with a credit card using PayPal without using a PayPal account. If you have questions, please don’t hesitate to contact us. 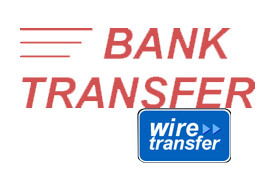 Bank Transfer is suitable for large payment, Bank Wire Transfer is often the most expedient method for transferring funds between bank accounts. We can accept bank transfer, please contact us and we will provide you with our account details.